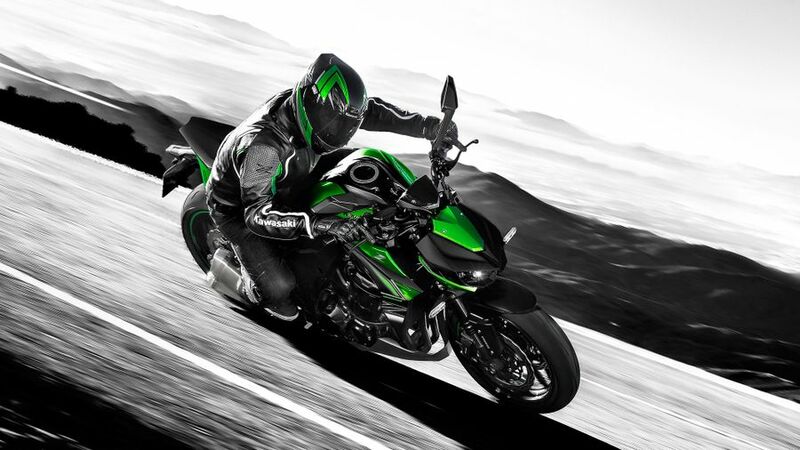 Kawasaki has announced that a host of new colours will be available across a range of its bikes for 2018; including the Vulcan S, Versys 650, Z1000 and Z1000SX. The Vulcan S will be available in two new colours in 2018: Metallic Flat Spark Black and Pearl Lava Orange. And, on top of that, the Vulcan S Cafe will be available in Pearl Storm Grey. Thanks to its ‘Ergo-fit’ adjustability, the Vulcan S has two seat options, different-reach handlebars and foot control adaptations so that it can suit riders of different heights and builds. Meanwhile, with its distinctive grey colour and graphic treatment combined with special styling, the Vulcan S Cafe is expected to appeal to fashion-conscious riders, as the cafe culture market continues to thrive. Remaining true to its core ‘Versatile System’ values, the revised mid-capacity Versys 650 range is being released in a variety of contemporary colours and graphic treatments. With its expanding accessory range and the prospect of ‘Edition’ models being unveiled later on in the pre-season, the Versys 650 now has three colour options: the Pearl Blizzard White and Metallic Spark Black option reflects the current fashion for white motorcycles, while the Candy Lime Green and Metallic Spark Black model is sure to be a hit with committed Kawasaki fans; and, the third option is Metallic Matte Covert Green and Metallic Spark Black. 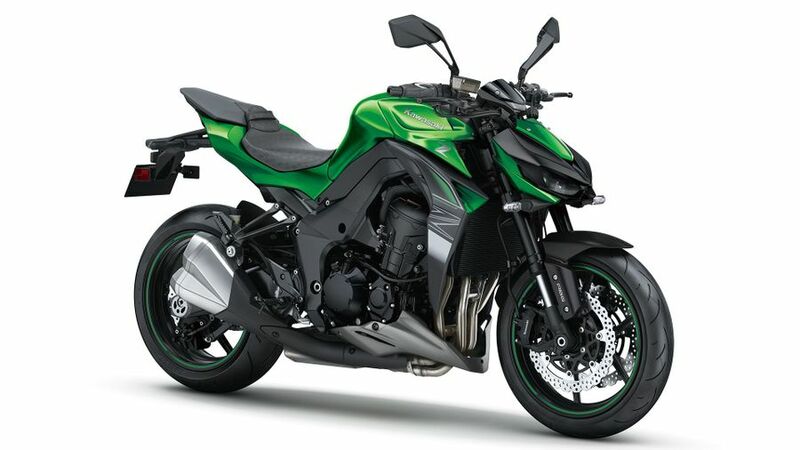 The 2018 Kawasaki Z1000 will be available in the UK from November 2017 with two new colourways: Emerald Blazed Green, Flat Ebony and Metallic Graphite Grey, with the second being Pearl Storm Grey, Candy Surf Blue, Metallic Spark Black and Metallic Graphite Grey. 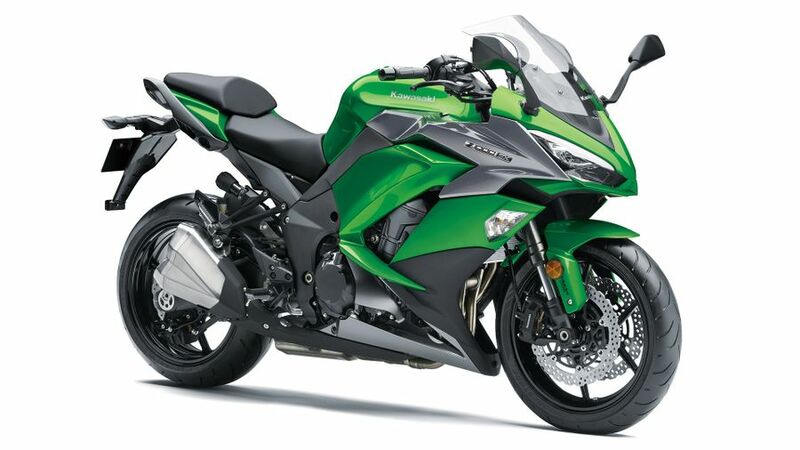 The Z1000SX sport tourer models have recently been updated and revised for the current season, but three new colour options for 2018 season will be available in the UK from October 2017. Metallic Spark Black and Metallic Graphite Grey; Emerald Blazed Green and Metallic Carbon Grey with Metallic Graphite Grey; and, finally, Metallic Fusion Silver and Metallic Flat Spark Black. 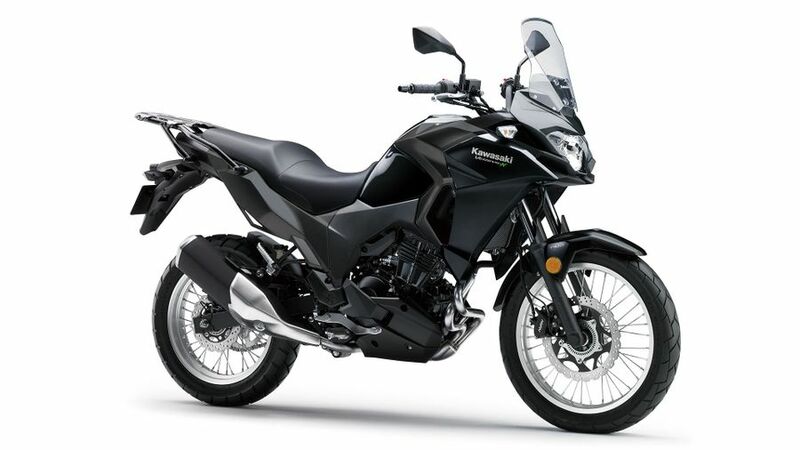 Originally designed for countries such as Indonesia and Thailand, the Versys-X 300 was conceived as a 300c category machine able to deal with a variety of road surfaces and conditions. Available in the UK from October 2017, the 2018 model will come with two colour options: Candy Lime Green with Metallic Graphite Grey and, alternatively, Metallic Spark Black with Metallic Graphite Grey.